Really good blend for dry, hacking cough and sore throat. 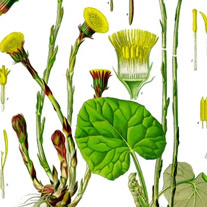 Anise clears congestion, coltsfoot helps calm your cough, and marshmallow soothes sore throats. Mullein helps with all these cold and cough symptoms.